On 28 May 2015, the winners of the Company Reputation Top were announced during an official ceremony. 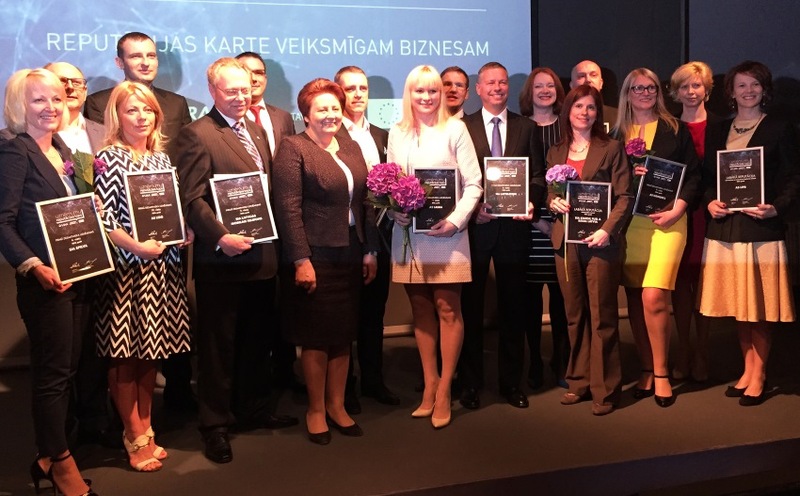 This year also the name of UPB Holding was pronounced among the best standing companies. 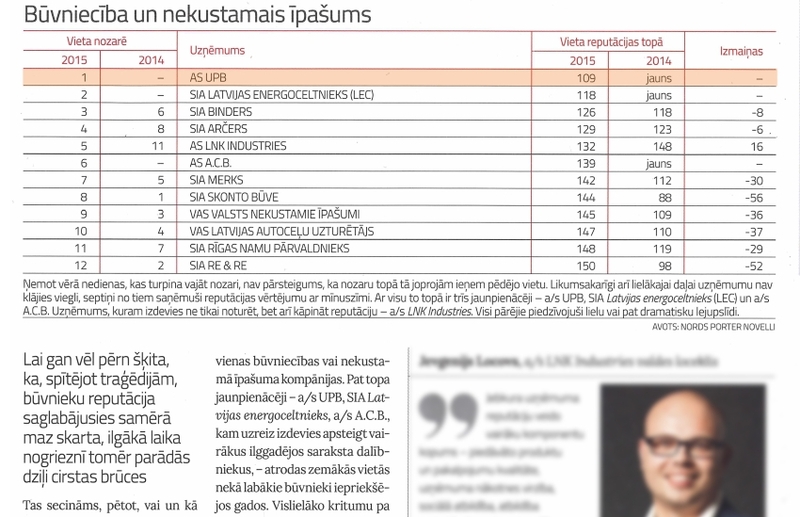 UPB Holding managed to rank in the 109th place, which is the highest result of the company in this top so far. 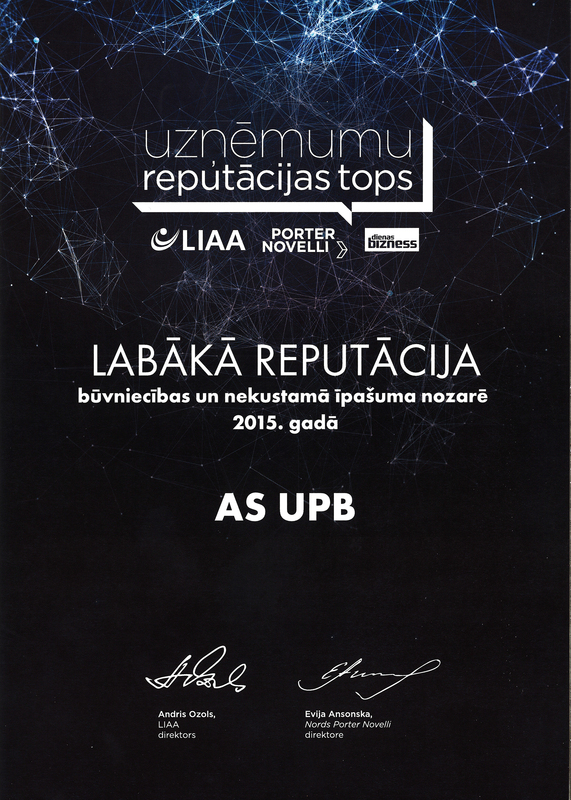 The Reputation Top assesses the standing of companies also by several sectors, and we are proud to announce that UPB Holding is the leader of the category “Construction and Real Estate”, in which 12 Latvian companies were included in total. 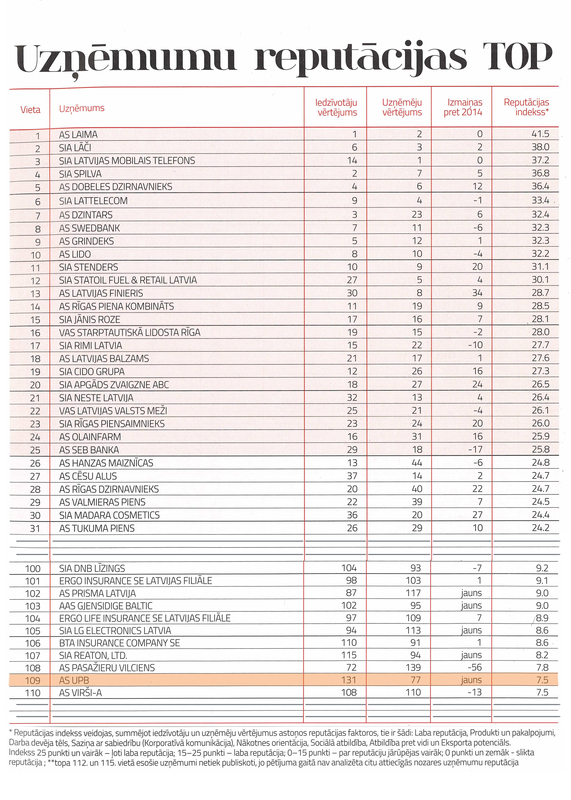 UPB Holding has been included in the Reputation Top also in previous years — ranking 145th in 2008, 134th — in 2009, and 138th — in 2011 and 2012. The reputation index is composed of general population and businessmen’s evaluation of eight aspects — good standing, products and services, the image of employer, corporate communication (communication with the public), future orientation, social responsibility, environmental responsibility, and export potential. The Reputation Top is put together by the agency Nords Porter Novelli, Marketing and Public Opinion Research Centre SKDS in cooperation with the newspaper Dienas Bizness and the Investment and Development Agency of Latvia. The Reputation Top summarises information on the results of 150 companies.